Berhampur: Access to Free Medicine Campaign launched in Ganjam district by Youth for Social Development (YSD), MASM, CAC with the support from Oxfam-India, with an objective to increase accessibility of free medicines, increase accountability of government and duty bearers to make the medicine and other health care facilities free of cost, ensure effective governance and allocate more budget to improve health care needs of the people. As per the National Health Accounts (NHA) of India in 2013-14, 64.2% of the total health expenditure in India is considered to be the “Out of Pocket Expenditure” by individuals and households despite different health care facilities available. The expenditure incurred by many people in rural and urban India through borrowing or by selling their existing assets. The rising price of drugs is a considerable drain on the pockets of entire population but it affects the poor most. It is estimated that 20 million Indians fall below the poverty line because of indebtedness due to expenditure on health care. Odisha has launched the ‘Niramaya’ scheme in 2015 to provide 570 varieties of medicines available free of cost and allocated an amount of Rs.253 Crore in 2017-18 budgets. Govt. 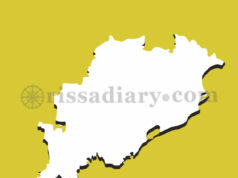 of Odisha has announced to establish 1102 drug distribution centres covering 1234 PHCs, 383 CHCs, 32 district hospitals, 22 sub-divisional hospitals and 3 medical colleges. 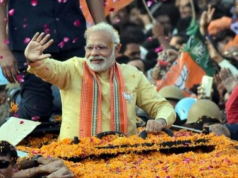 The focus of the scheme is to access (improved accessibility), availability in all health care facilities, 570 medicines on essential drug list and affordability (reduce out of pocket expenditure). 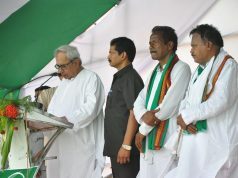 The major challenges faced in the efficient implementation of ‘Niramaya’ scheme in Odisha are; misconception of the people about the quality of free medicines, unethical promotion of medicines from private medicine shops involving medical practitioner and chemists, low acceptance and awareness among communities, absence of any standard treatment guideline, absence of doctors in many govt. health centres, poor distribution of medicines and unavailability of medicines in health care centres, non functional and non installation of software used to track stock and indent and only 97 varieties of medicines are procured rest 369 is in the process this resulted in unavailability of medicines. We the civil society, citizen and people demand to make transparent functioning of OSMCL, with time bound grievance redressal and compensation mechanism, establishment of regulatory body ensure efficient grievance redressal and enforce existing policies, effective supply chain management for timely procurement and available, introduce TOLL FREE number, GIS based system to track medicine supply and availability and continue engagement with GKS to ensure accountability. In this occasion we also request the entire media community to play an active role to spread the message to create awareness and demand accountability from the government. In this occasion more than 110 participants from across civil society and citizen groups participated and national level experts Mr. Gouranga Mahapatra of Jan Swasthya Abhiyan, Sri. Santosh Kumar Patra of Oxfam-India, presented the details scenario of Niramaya in Odisha and shared the quality and efficacy of the free medicines available in govt. health care facilities. 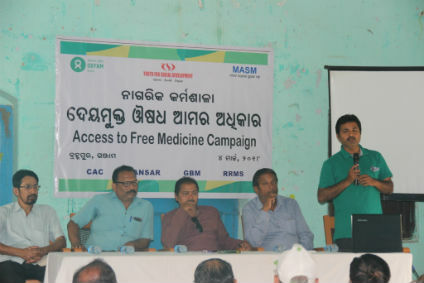 This campaign will create public awareness in Berhampur and its periphery areas, create public demand for free medicines and accountability from the service providers and government to implement efficiently. This workshop has been presided by Sri Abani Kumar Gaya of MASM, facilitated by Sri. Guru Charan Patra of CAC and Bibhu Prasad Sahu of YSD. Many local organisations like SANSAR, RRMS, GBM, civic groups, activists and citizen participated and supported the initiative.